So you run events and at the event you want to quickly update who has attended. 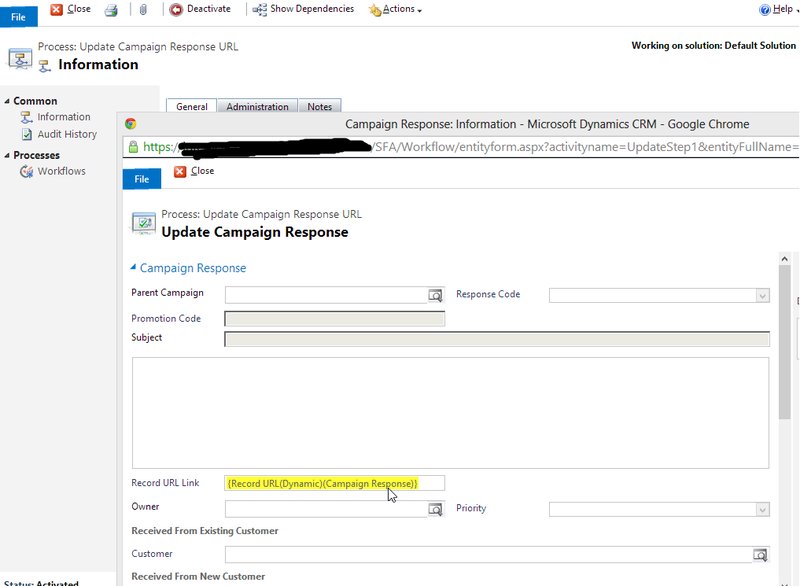 You use Dynamics CRM to capture the event details and you record who has RSVP’d via campaign responses. You use mail merge to print out labels for the event. Next on to the mail merge, campaign responses do not support mail merge, to get around this simply export out the campaign responses using the standard export feature but ensure you include your new Record URL field. 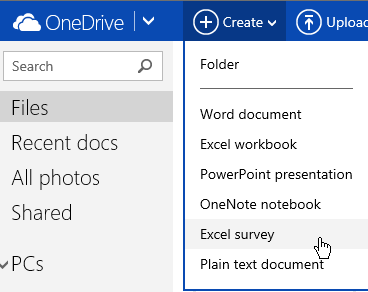 Now open Word 2013 and start a mail merge, select the exported out records to form the list to use. 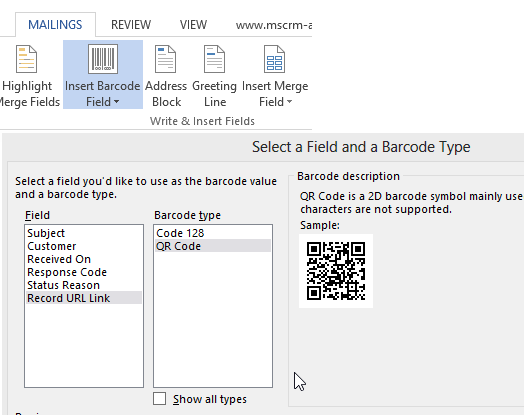 To add a QR code to your label you simply click “Insert Barcode Field” in the mailing ribbon, Select QR Code and select the Record URL field. You now have generated a unique QR code for each record. Print your labels and you are done. Now at the event you can scan the QR code as they arrive and update the status reason of the record to Attended. See my guest post on the ClickDimensions blog My Post at ClickDimensions. Hopefully it meets my objective of making this seemingly complex language simple! Its interesting when you start listing all the projects you have worked on, the people you know and see how you compare. As you may or may not be aware Dynamics CRM will be having a facelift in October with the new release CRM 2013 being launched. In short, CRM 2013 is the next release of Dynamics CRM. Dynamics CRM 2011 was released in 2010 and as such in line with the rest of Microsoft products has had a facelift to enable it to continue to be a market leader. With the range of new laptops, tablets and phones available to users, the Dynamics CRM user interface had to be re-imaged to support these devices more natively. With a lot of information already out on what CRM2013 will deliver to users, I thought I would submit my “Top 10 feature” changes that you will experience with the new release. 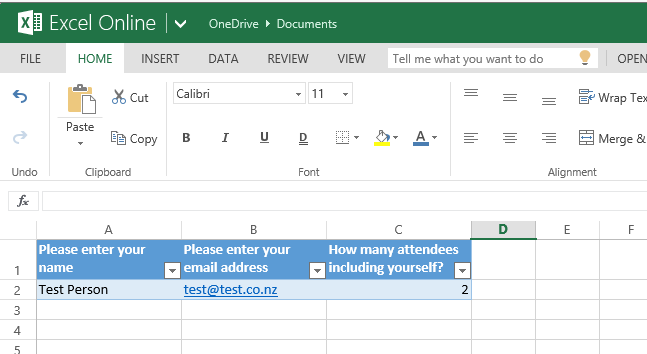 Keep an eye on this page for new postings about the upcoming release http://rc.crm.dynamics.com/rc/2011/en-us/Dynamics-CRM-Upcoming-Release-Information.aspx and Intergen’s blog www.intergen.co.nz/blog. 1. Ribbon goes, say hello to the navigation bar. The navigation bar is a replica of the navigation pane and represents the site map that you are used to and the ribbon buttons are replaced with simple worded command bar options. The reason for this change, speed up the UI, simplify the visuals and easy to touch. 3. Process enabled forms, you can create processes to support users navigating through the system. A record type can have many different processes that can be started. A process drives a user through the information and related entities to complete the process. A user can change the process during a process if required. Example processes, Simple Opportunity Process, Complex Opportunity process, New Member, Renew Member etc. 4. Mobile for free, the new release includes an always online with cached offline mode for Windows 8 and IPad devices. The mobile user interface is dynamically created based on the same forms non mobile users utilise. This will provide a great tool for the mobile workforce to engage in CRM wherever they are. 6. Dynamics CRM and Server side e-mail and appointment processing. This is a great new feature, take this an example CRM 2011 process. A customer service agent creates an appointment for a user to visit a customer. The user will not see this appointment in their Outlook calendar until they sync Dynamics CRM with Outlook. If they are mobile using a smart phone or tablet then again they would not see this appointment until they sync their outlook, delaying the visibility of this appointment. With CRM 2013 the appointment will be pushed by CRM direct to the mail server and then it will immediately appear on your device. Great new feature. 7. Synchronous Processes. Basically processes in CRM 2011 have always ran in the background requiring a user to reload or refresh the screen to see the impact. CRM 2013 will now introduce processes that run immediately and update the form in real time, resulting in less code, less plugins and simplified management of business logic. 8. What is this Hero thing all about? The hero area of CRM is where you see all the recent activity of a record in one glance. If implemented well this will save all users an immense amount of time. 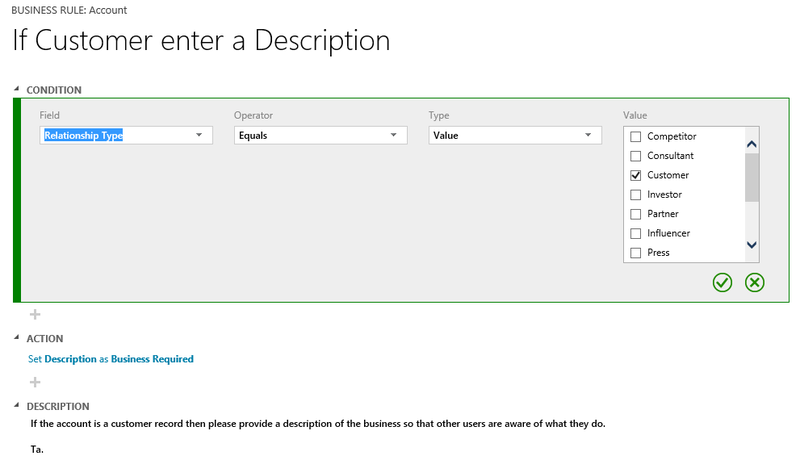 Some of you may already be using this in CRM 2011 – activity feeds or in CRM online via the Polaris forms. Basically in CRM 2013 it takes this area to the next level with full capability to create all activity types, integrate with Yammer and view all notes. In some ways this is my number 1, as it provides the bare essentials to all users about the what is going on with the record with minimal clicks. 9. Global search within the Mobile Client. 10. 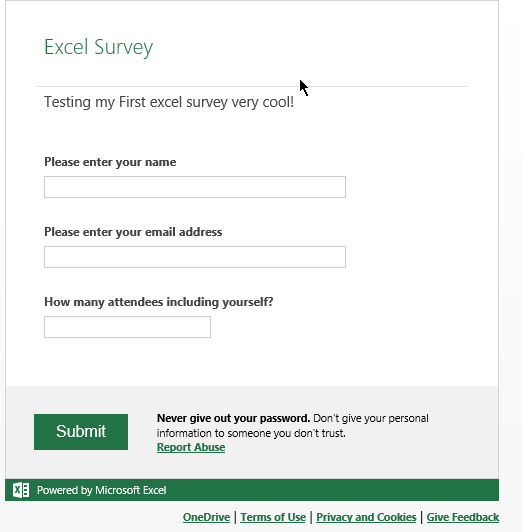 Quick Create forms are back! You can now quickly create a record without capturing all viewing the complete form, great if you are on the move and just want to get something in quick.